Black Ice Software - August Print2Email Newsletter. Black Ice Software has released Print2Email version 9.00 including the new printer driver module, new user interface and improved licensing. The Print2Email version 9.00 user interface is simplified and better suited for business users. 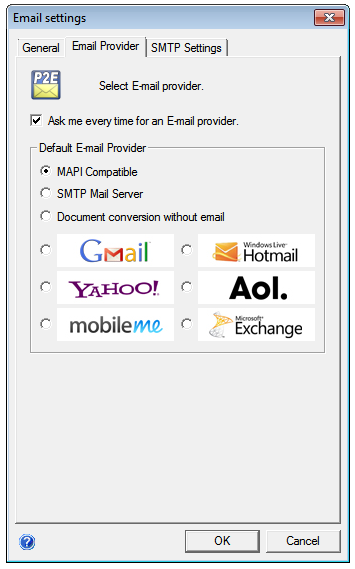 Print2Email 9.0 includes a new user interface including the popular Email providers. Customers with a valid maintenance subscription can receive the most recent upgrade for free. Please contact impactsales@blackice.com with your serial key.